Linux Mint 8 Helena will reach end of life on April 29th, 2011. This release was based on Ubuntu 9.10 which is planned to reach end-of-life at the same date. Repositories will remain open for another while but no more updates or security fixes will be made available. Users of Linux Mint 8 Helena are asked to migrate to Linux Mint 9 LTS Isadora (Long Term Release which will be supported until April 2013). Note: This edition of Linux Mint follows the Ubuntu release cycle with a new release every 6 months, a lifespan of about 1.5 years per release and 3 years per LTS release. LTS stands for Long Term Support. 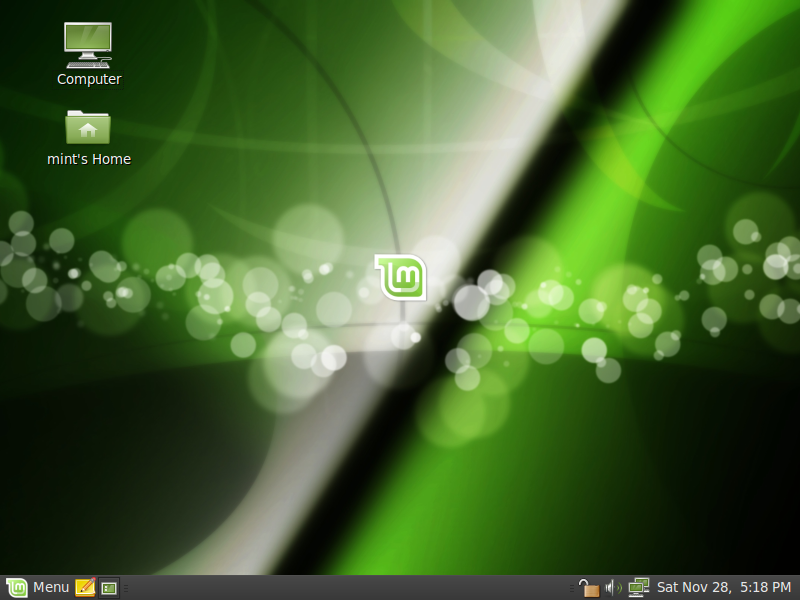 Linux Mint 9 is our latest LTS release. Previous Previous post: Linux Mint Xfce RC (201104) released! This is a sad day indeed. Still have the Live CD which I use for data recovery of windows systems (amongst other things). I would personally upgrade to Mint 10 instead of 9 though. Helena was first Linux which stop me for looking for my linux. Today I use Julia is match better from her older sister Helena. ^wow it just reminds me how I grew using linux mint. from 9.10 to xfce debian.. this is a great community we have. Can’t wait to test the stable xfce debian. Helena also was the first linux distro I’ve instaled on my computer. Goodbye, Helena! 🙂 You’ve been great! Linux Mint 8 was the first version of Mint I used, it was quite buggy at that time (no offence, it was still better than Ubuntu, much more user-friendly), but if I look what progress has been made form Mint 8 to Mint 10, keeping in mind that Ubuntu has screwed up quite a lot of things in mean time (Ubuntu 10.10 doesn’t even boot to the desktop anymore…), then I must say that the dev’s have done a great job. In stead of changing everything so that regular users get all confused and bnombed with crashes and error messages (Ubuntu), they just make small improvements and make those messy Ubuntu releases usable again. Was my first distro in the linux wordl. Was my first distro in the linux world. Yep, this was my first Linux Mint too. I’ve tried Fedora 12 and some others before it but this was the first Linux that I really used (not only bothered with). Think for a second. Who does it take to emote upon an end-support notice for an OS? Linux Mint in general is a great distro. BUT it is becoming increasingly frustrating with this ridiculous 18 month support cycle unless you are of course working with an LTS release. The is little or nothing wrong with Helena or come to think of it Gloria and Felicia before that. I know its not the fault of the Mint team but Canonical really should find a way of addressing this in some way by offering limited support for example ie. Kernel upgrades etc. Surely Canonical have enough resources to do this. It may sound all negative but I am really pissed off by the current support structure. Guy, lots of us share the same feeling. Linux Mint is doing a great effort by releasing a LMDEB OS which is a rolling distro. I’m using LM9, Gnome and KDE and I’m very happy with both of them and probably will not upgrade till the end of its life. Hope LMDEB is a success and then I will move to it to. And you can believe me, this time LM has got really better, coming from Julia, besides all the little things i miss from her, i feel also as if i have to wait years for Helena to summon. Keep making better Clem & Co.
Helena also was the first distribution to really get me into Linux. It was an amazing release and seems that it was just yesterday that I installed it and started learning this whole new OS. But time flies with Linux development! I’m now using Julia Main edition (skipped Isadora completely though), which builds on everything that was already great on Helena and adds still more refinement. You really are the cream of the crop, Mint devs! My friend, if you like long term support, you have long term support Mint. Just check the latest LTS Ubuntu and respective Mint edition. If you like cutting edge, then just download and install every six months. You can do so without loosing any data or configurations. Even your Firefox bookmarks will remain. Just make a separate /home partition. If not, install Mint Debian Edition. If there isn’t the edition for the WM you like, i’m sure there will be one pretty soon, just be patient. Nomadwolf please, I started with six which is what I discovered Linux with and have moved up each time at the moment mainly with nine but trying ten on external drives, What is the bit about being able to update and not loose data/configs? I have been starting from scratch each time and downloading everything again, am I missing something ? I started with LinuxMint 4.0 Xfce dated 12-12-2007. It changed me over from Ubuntu. Now I am getting off the 18 month update by going to LMDE Xfce for as long as it lasts. It is already installed on my test computer and seems to be very good. Sad to see Helena go it was a really good run. And Bring on Linux Mint 11 and LMDE. I always recommend LM for beginners as, in my opinion, it’s the best newbie-friendly distro out in the wild! And also it’s a really comfortable distro that I use on some pc’s, along with Arch and pure Debian. BTW, I’m loving the Debian base! very sad, helena was the first distro which i ever used, have always been a linux mint user ever since i used helena. goodbye helena. Helena was my first distro too. Up to that point I was using windows (guess I did not know what should OS be like), but everithing changer when I found image for Helena in a PC magazine DVD with a title “The perfect desktop”. And from that day onward it sure has been perfect. I totally agree, haven`t seen better background yet, in fact still using it on LM10 Julia. I love Debian base too !!! When will you make updated iso of LMDE ??? Helena was the first Linux Mint that I used for any real length of time. Linux Mint 7 had bad upstream problems with Intel video drivers. Helena just worked on my laptop — even better than Isadora did. I have to agree with the other comments about the six-month release/eighteen-month support cycle forced onto Ubuntu-based distros by Canonical. I think having a rolling release — or a better support cycle — is far better for users. I still support Linux Mint (and recommend it to new users), but honestly, I’ve left Ubuntu/Debian for Slackware. Slackware 8.1 (released NINE YEARS AGO) got some security fixes in February of THIS YEAR. Like so many others, Helena was my first real experience with Linux, and man did she get me hooked. Sorry to see her going onto the retired list. Ahh, Helena was also my first exposure to Mint (I think)… Vaya con díos, you’ve done a good job. .One partition where you’ll select mount point to / (which stands for root). .After that is done, every time you want to upgrade Mint, or even jump to another distro, just select Manual Partition at install and set the same mount points to the same partitions. I also recommend to format the root partition (/). Also, NEVER format (/home) or you’ll lose your data. With these configurations i haven’t touched my disk since Mint 7. I have jumped from mint to ubuntu, kubuntu, arch and suse always keeping my data. If you only change Mint version however, you can even keep your internet history, saved passwords and all. If you need a more detailed info, i can make some PDF with images. Sorry to break topic Clem. Man I went from 7Julia32 to Mint 10 64 and am happy so far. Noooooo! I have Helena on my laptop, its the only version of kernel that works without any problems. Kriss: Some people run a particular release even years after it’s reached end of life. It’s a figure of speech… it’s not going to suddenly stop working. What’s happening is that you won’t receive security updates and bug fixes for it anymore.. everything else will continue to work as usual. So if you’re behind a NAT/Router/Firewall, you’re not a high-value target for hackers on the Internet and you’re using your computer for personal use, you’re probably fine staying with this release. You can see in our Monthly Stats that there’s a significant part of our user base which use obsolete releases of Linux Mint. If things are working great for you, think of what security updates bring to you and how important they are in comparison to the rest, then make a decision as to whether you want to upgrade or continue using Linux Mint 8. Either way, don’t feel pushed, make the right choice for you. I feel like a complete newbie… Mint 10 is my first Linux Distro. Looking forward to the next version. Helena was my first Linux distro. I always will remember you as as my first entry to the Linux world!. Helena was a rolling update of the LTS Ellysa 5. My first Linux Mint was 3 Casandra, and have used no other distro but Linux Mint since and fully gave up Windows when 5 Elyssa came out. I had Kubuntu Edgy Eft B4, but no thought to leave the terrible Vista (“frumpy woman” in Latvian). That’s so sad… I’m using Mint 8 ‘Helena’ in my laptop and Mint 9 ‘Isadora’ in my Desktop..! I have just bought a used netbook for school with LM 8 (Helena) how do i go about upgrading when the time comes? I am new to this but willing to learn which i believe is a good thing. Thanks in advance. Linux Helena was the first Linux distro that I have used. I still use it and its very friendly to users. Honestly people told me of the incredibly difficult intricacies involved when using Linux. Linux Helena proved all of them wrong. Thanks to Helena, Linux does not seem as terrifying as some say it is. Love the distro and feel sad that I will have to bye to Helena. I look forward to Mint 10. Helena – U rock ! runnin’ sweet for months & months & months. For all users you leave a massive gap of conciousness – and increasing affection for willing operating systems, here in Linux-Verse. Ahhh. This was my first Linux Distro. It’ll always hold a special place in my heart, it was an awesome release. Linux Mint Helena is the distro that learned me to work with Linux. It was easy acceable, and a pleasure to use, and everything worked at once! My wife is fond of this distro, so I think it will stay on her laptop for quiet some years more. I hope the future LM distro’s will stay suitable for old pc’s, with older slower CPU’s! the EoL of LM8 is not the EoL of my laptop!